In 1821 the mayor of Chénas, Jean-Marie Loron, began exporting the wines Beaujolais and Mâcon around the world. After taking over the business some years later, Jean-Marie’s son married one of the daughters of the Charlet family in 1852. Her family owned the Clos de Billards vineyard in Saint Amour and, following the marriage, the two businesses merged. By the 1900’s the Loron family was one of the most famous négotiants in Beaujolais, with holdings in almost all of the famous crus. Unlike other négotiants, however, the individual domaines continued to produce their wine independently using the traditional methods they always had. Six generations later, this venerable family is still firmly rooted in the region and still producing outstanding Beaujolais. 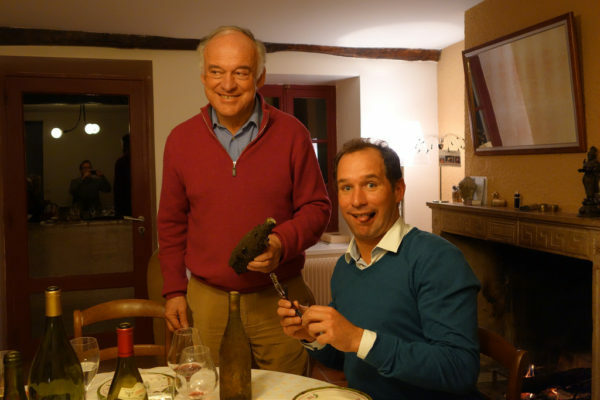 The wines are made by Xavier and Gregory Barbet, direct decedents of the original owners, and are labeled under each of the different wineries: Domaine des Billards, Chateau de Fleurie, Grand Moulin, Chateau de la Pierre, and Beau!.